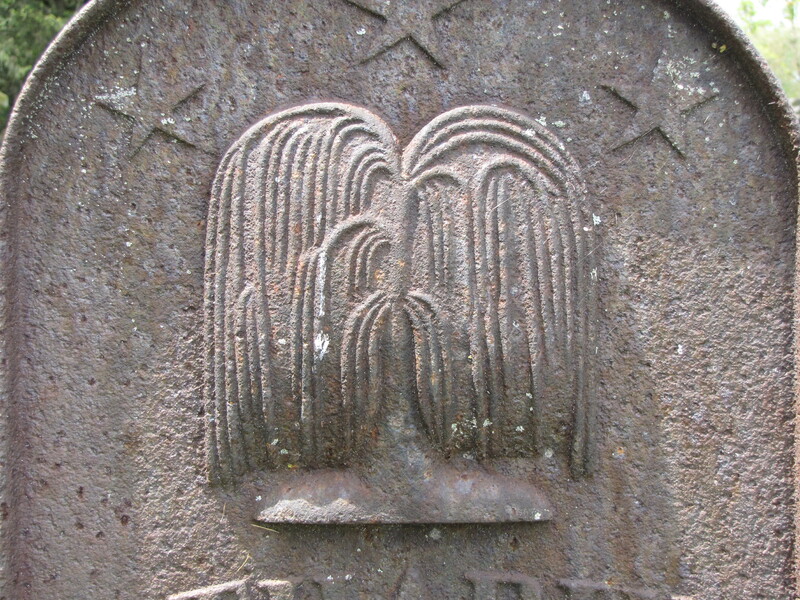 The willow motif on this gravemarker is not unusual, in fact, the willow is one of the most common symbols found in American cemeteries. What makes this willow special is that it is found on a cast iron gravemarker. 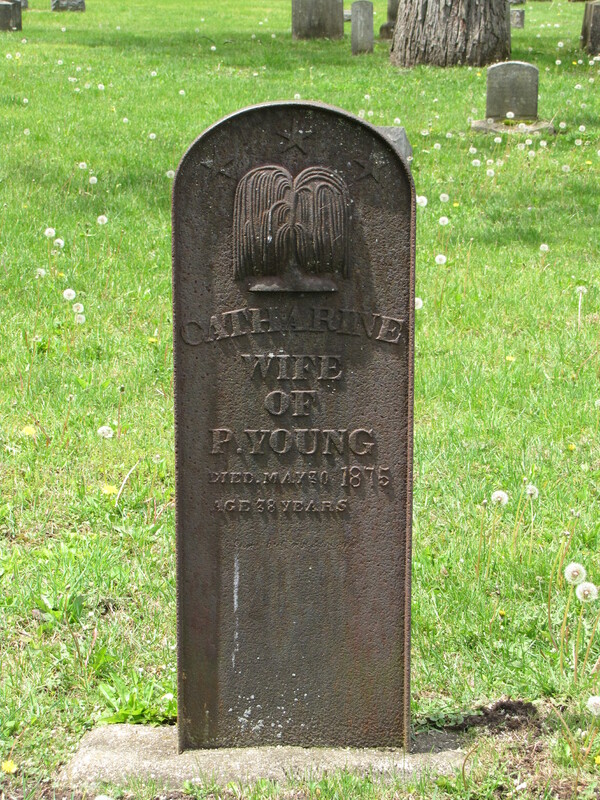 While cast iron can be found as a material for making gravemarkers it is NOT common. The secular meaning of the willow symbolism represents what one might expect; sorrow and grief, it is after all a “weeping” willow. However, in Christian symbolism, the willow represents immortality because of the tree’s ability to shed so many limbs and survive. This entry was posted in Materials, Symbolism. Bookmark the permalink.